Aide to Pak President Z: Phone sir. From India. Foreign minister Pranab Mukherjee. Cold voice on other end of line: Aiii salaaaaaaa……. Z (suddenly feeling a chill run down his spine): Excuse me? Pranab-babu? Voice: Main hoon zulm se nafrat karne wala. Garibon ke liye jyoti aur tum jaise gundon ke liye jwala…. Z (still confused):Who is this? Voice: Main sab jihadiyon ke naakh main woh challa pahenoonga jo kothe pe kunwariyon ko pahenaya jata hain jise kahete hain nath. Aur jab koi bewada un sab jihadon logon ka nath utarega na, tab maut ke rath pe baithkar seedha upar chala jayega. Z(now clutching the receiver): Get me the ISI chief. The Indian foreign minister mujhe danger aadmi lagta hain. He is making threats. Aide: Sir ISI chief is cutting vegetables for the Taliban chief’s dinner. Z(whispering “Get me someone”): Mr. Mukherjee, are you threatening me with war? Voice: Zalzala jaag utha hain. Hum aise laashe bicha denge jaise nanhe munhe bacchein ke nunni se pesaab tapakta hain. Tap Tap. Voice: LET ka thookh chata hain tumhein. Pesaab piya hain uskaa…..
Z: Attacking Pakistan will have severe consequences. I hope you realize…. Voice: Jahaan nimboo naheen ghusta, wahan nariyel ghused dete hain. Voice: Aligarh ke chor bazaar main bikne waale toote huye taalein, tera gala sunke aisa laagta hain jaise tu lal mirch ke chaatni par bina kapdon pe baith gya. Voice: Kyon phepren phaatke a gya na halak ke bahaar? Z (shaking): I am sure the US wont be happy when I tell them what kind of language you are using. Voice: Do chaar chaaye aat dus. Bus. Z( now screaming): Army, Navy, Air Force. Battle stations !The Indians have gone mad ! They are punching in nuclear launch codes. I just heard them. Yes this man did it right now….2,4,6,8,10. And he even finished with a “Bus” which means “The End”……Get the Chinese translator to go over those nuclear missile manuals with our people. Yes right now…..
GB, a tiny request. If you can link to any youtube videos with the memorable dialogues? PS. Never heard of nunni. Is it a translation into Hindi of nu-nu? This is good one. great..if some prank caller can get through to president shows how Pakistan government is functioning. Only you could come up with this! Brilliant! Oops! Tried to write in bengali script. This web site at http://www.cppak.org has been reported as an attack site and has been blocked based on your security preferences. There was a big friendly button below this wonderfully illuminated piece of literature which cried out, “Get me out of here!”. There was also a small link at the bottom right corner of this show which dared me to “Ignore this warning”. Mujhme utni daring nahin thi. I’m a lowly coward. On second thoughts, I just think he was trying to prove that he is the soulmate of Sarah Palin. well…if hoax call story is true…..tht shows how good president Z is…. ROFL!! This was too good!! Very funny. But somehow didnt enjoy this as much as earlier similar posts, given the tragic background. gr8 post as usual ..and im sure u only wrote this post bcoz it gave u a chance to write the “Gunda” dialouges ……. reading something like this with whatever’s happenin does lighten up the mood …. Hey, Your thoughts on Chidambaram being the new Union Home Minister? Terrific. The Chinese translator for their nuclear missile manuals… Hahaha. @Deepak Iyer, The Sarah Palin connection is also a great take. On a similar vein, have you read my account of a debate between Shivraj Patil and Sardar Patel – http://www.rameshsrivats.net/2008/12/shivraj-patil-versus-sardar-patel.html. Arnab Da have u heard this latest joke on chidambaram being Home Minister. we hope he will bring down the terrorist attack as home minister. LOL. As a finance minister he also took the sensex from 3000 to 21000. Why’d you have to concentrate on the -ve things always? Typical Indian trait, isnt it? “Get the Chinese translator to go over those nuclear missile manuals with our people.” Too Good. Pingback: Update « News you can’t use ! Demented mind surely but not yours…Zardari’s….the Prabhuji twist confirms that there is nothin impossible for Mithunda…and I am strong beliver that this might have happened…will prmote this as a thoery to all around..if Pakis can promote Hindu-Zionist thoery…this is far more creative and just….Jiyo GB, Jiyo Prahuji. 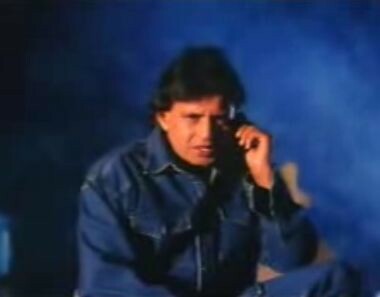 I hope the army is planning to use Prabhuji for any covert operations planned…still cant forget Mithunda climbing a 60FT wall in Watan Ke Rakhwale…that too without any mountaineering gear or Spiderman suits or power….simply defying all laws of gravity as he has defied unjust law-makers and law-breakers. keep up the gud wrk!!!!!!! Because they arent that smart. Here is a good theory that Islam-ists will lap up. The proof that the terror attacks was a Hindu-Zionist conspiracy, comes from the name of the surviving terrorist. Kasav is actually Keshav, named after the famous patriarch of RSS, Dr. Sri Keshav Baliram Hegdewar. Kasav’s (na Keshav) was made to believe in the false propaganda by the Hindu Zionist RSS, that all these Jihadis have been killing and forcibly converting Hindus for the past millenium. Every morning Keshav would go to a RSS Shakha where he was made to watch “propaganda” material on the brutal massacre of 3 million Hindus in Bangladesh. He was brainwashed by showing authentic census data that Hindu population in all Muslim majority areas since 1947 have declined. On the contrary Muslim population has almost tripled in India since 1947. All lies, lies and lies. Keshav was also brainwashed into thinking how Muslims attack fellow Muslims, in a deadly spiral of hate, once they run out of non Muslims to kill. All for the sake of the Koran. All this brainwash poisoned Keshav’s mind. He decided to kill more people. After killing these people Keshav started calling himself Kasav, so that he can give a bad name to Muslims. Reminds me of how people from my village used to call Kader Khan, Kedar Khan! Made me laugh so hard at work people around me were wondering whats wrong.. too good.